Since 2004, we have been helping people who have dreams of starting their own clothing lines do just that. Welcome to our Complete Guide to Designing Clothing and Launching Your Own Fashion Label. 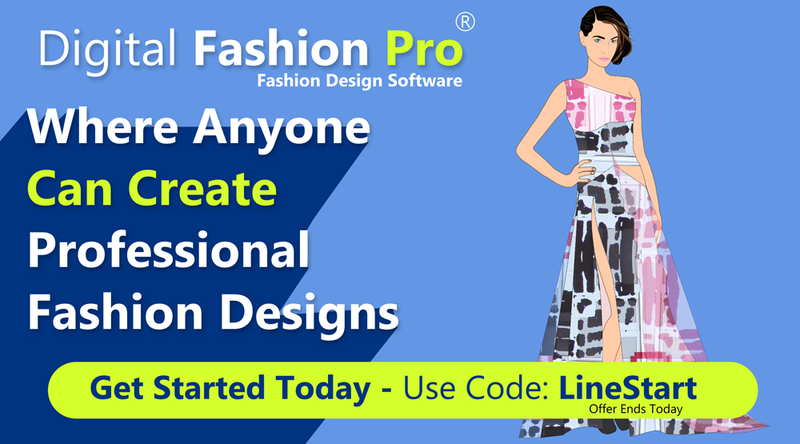 Whether it is through using our fashion design software Digital Fashion Pro to create your clothing sketches or our how to start a clothing course – we aim to empower our clients with great tools and detailed information. This resource will covering how to design your clothing and get your line made by clothing manufacturers. Let’s get you started with the 4 steps to creating a successful clothing line from scratch. Coming up with a great name for your clothing line and a terrific logo or phrase is a huge win. But in reality, those are the easy parts of starting a clothing line. After doing those things is when the real reality sets in and you must make informed decisions that can make or break your line. Our job here is to make sure our clients are extremely well informed and armed with the information and tools that will increase their chances of success with their own clothing line. Here are 4 Must Have Fashion Design / Fashion Business Resources that every aspiring fashion designer and beginner to should know about to help with starting a clothing line effectively. 1. How Can I Start My Own Clothing Line because I don’t have any experience or anyone helping me? I Don’t Know Where to Start? This is a frequent question we receive here at StartMyLine.com. We have already mentioned the basics of starting a clothing line and registering the name above but what really comes next. There are many things to consider. For one, we recommend setting up your clothing line as an LLC. Forming a LLC does cost money and often can range between $100 to $200. You can also easily do it yourself to save money. I actually did one myself recently after years of paying for services. Also be sure to lock down your domain name for your clothing line with Godaddy – .99 Cent Domain Name for your line right now. You then will want to register your clothing line trademark. You can do it yourself or hire an attorney. This can be done on the US Trademark Website. The class for apparel is 25. You will also want to get a RN# if you are looking to get your goods manufactured outside of the United States and then shipped in. This may differ a little for our non-USA customers. You will also want to begin writing a business plan for your clothing line, however, to make it as accurate as possible you will need to do some research. You want to make sure you cover and address the 5 most important areas of creating a successful fashion brand. 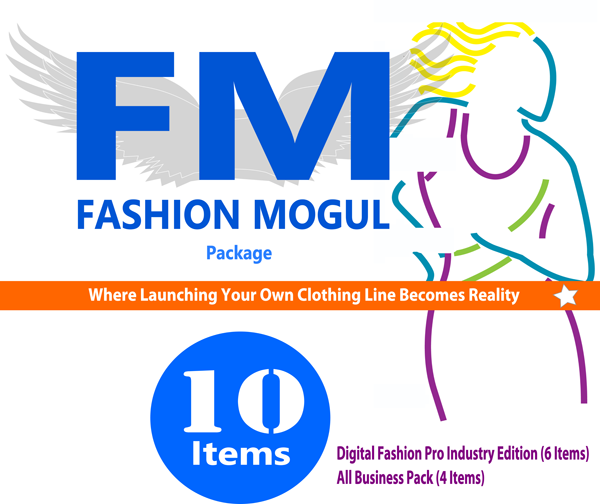 The entire process of how to start your own clothing line is laid out in our Fashion Mogul Clothing Start Up Kit. It covers all of the above and a lot more. In fact, one of our recent clients said they could have saved $6900 on a production order that wasn’t up to their standards if they had only read our course first. They told us that after reading our book they realized the mistake they had made with their quality inspection. This fashion business book gives you years of direct fashion industry experience that will help you excel and avoid many of the common mistakes many new clothing lines make. This book also covers how to get your clothing line into retail outlets and what to look for so they don’t take advantage of you. You will be surprised just how many new designer ship their clothing to stores and never see a dime from it. This book is just an excellent source of true fashion industry information from the “little guy” / “small business” perspective that will take you a long way and save you a ton of money and save you from making a lot of mistakes. The book also contains many financing ideas and how to start your line on a budget. Do you need funding for your clothing line? Read The Secret to Raising Money to Start Your Clothing Line. Also check out the Info-Graphic to how to impress clothing line investors. It is also at this time that you want to define your target market. Who are your idea customers? What styles do they like? What price points best serve your market? How will your designs resonate with your target market What will be your brand’s calling card? What will make your products stand out to your target market and separate you from other lines? Having a low price point is not enough reason if that is what you were thinking. We have heard so many times of how a new designer states they are going to deliver high quality garments but do it cheaper than everyone else. This method doesn’t work unless you are a big fast fashion brand. It is okay for you to do this strategy but don’t state that is what separates you from everyone else. You need to have a design aesthetic / logo that people can easily identify with your label. If you are thinking that stating your line is for a good cause or charity is a great way to make your line stand out – don’t get caught up in your own hype. Design is foremost the number one reason people will be attracted to your line. Everything else is secondary or icing on the cake. Your designs are the meat and potatoes. .
2. Where Can I Find a Fashion Designer to Design My Clothing Line For Me? We had a client who called us asking us could we recommend a fashion designer for their line. They said that they had been looking and the cheapest they found was $300 per design and $25 for revisions. Now that may be in some people’s budget but here is the simple math. If you have a collection of 10 styles then imagine 10 styles x $300 = $3,000 per collection. If you are producing two collections a year that is $6,000. For less than the price of one collection, you could buy every item on our site and be your own fashion designer. This way you would not have to put up with waiting on someone to do your revisions based on their schedule and charging you for them. Let’s face it, when you start designing, there will be revisions and many! We find that a lot of clients decide early on that they would rather invest in learning how to do their own designing and putting their future in their own hands. You may be saying to yourself, “That sounds easier said than done; I can’t even draw nor do I have experience designing clothing.” Don’t worry. We can help you overcome that fear. In fact, we have just the thing to have you crush that fear like a bulldozer rolling over a potato chip. 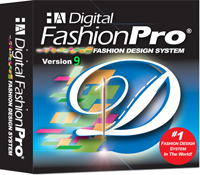 The answer is Digital Fashion Pro Clothing & Fashion Design Software. Our software system is used by clothing lines, schools, professional designers and beginners. It makes the designing clothing super easy and quick. Plus you do not have to have fashion design experience or drawing abilities to use it. Sounds too good to be true? Maybe it does but guess what – Digital Fashion Pro lives up to expectations and more! We created a fashion design system that comes with training, clothing templates and fabrics that allows our users to create their own professional fashion sketches right on their computer. 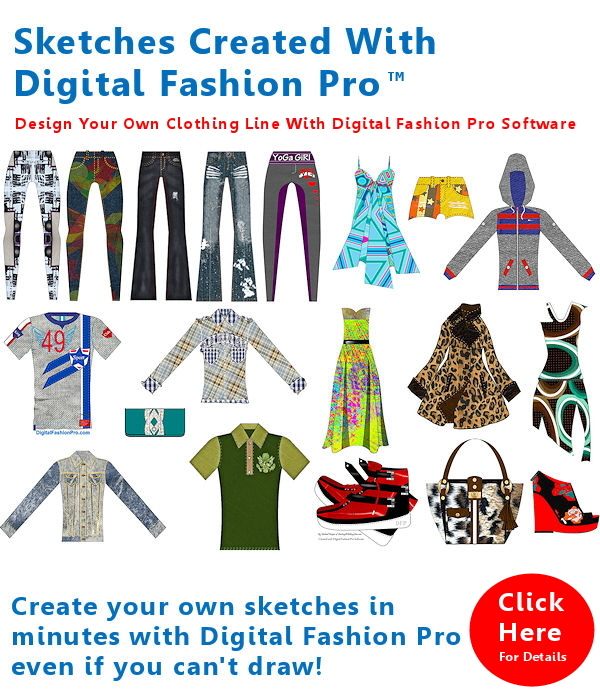 Computerized fashion sketches are needed to work with clothing manufacturers. With the full expanded system, you can design T-shirts, Jeans, Dresses, Skirts, Jackets, Coats, Shoes, Handbags, Sportswear, Baby Clothing, Sweaters, Tops and more for Men and Women. The system was made for beginners because of our original mission which was to make it so simple that even true beginners who have never designed anything can use it. But not just use it, we want our clients to excel at creating their own fashion designs. 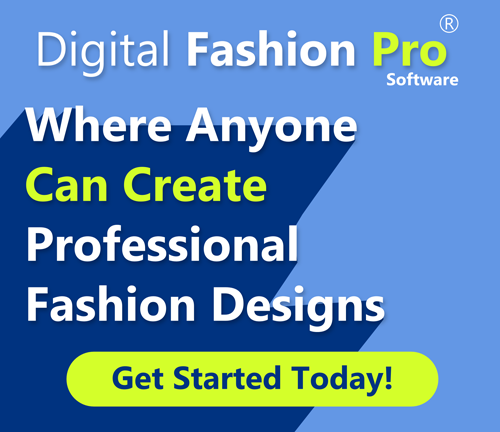 With Digital Fashion Pro in your arsenal, you will not have to find someone to design your clothing line. You can design it yourself! 3. How Can I Find a Clothing Manufacturer To Make My Clothing Line and How Does The Process Work? Many of our clients have never worked with a clothing manufacturer before. Finding the right manufacturer and being knowledgeable about the fashion design process is a must. You do not want to start talking to manufacturer or trying to order clothing without knowing about the fashion business. You could end up being taken advantage of or worst. However with starting any business you should make it a point to do your research before diving in. Now, let’s get back to your fashion business. It is important to know how to evaluate each potential manufacturer. You will want to ask the right questions. You will want them to send you samples of work they did for other clients. However, just because they did some excellent work for others doesn’t mean that they always do fantastic work. There is no guarantee that all of their production orders and samples will be 100% defective free. Nevertheless, you want to make sure each manufacturer is properly vetted. Again our Official Step by Step Guide to Starting A Clothing Line Book can help you with that. Once you are ready to work with a clothing factory it is time to give them what they need to make your samples / production. They will need a regular sketch of your design (front and back), technical sketch of your design (front and back), plus a spec sheet with the measurements for your design. 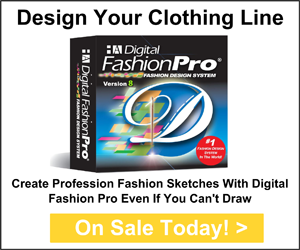 Digital Fashion Pro Style Creator Edition or Industry Edition can help you the regular and technical sketches. Our Fashion Business Center Software can help you with the spec sheet templates. If you are not good with measurements, we offer on our site a book with standard body and garment measurements. With all of these tools you can now put your designs in electronic format so you can email them to your clothing manufacturer. Contrary to popular believe you do not need an actual pattern to physically mail out. In fact, even with a paper pattern, manufacturers can still get your design wrong. There are other reasons why to not put so much time and effort into physical patterns initially. You can find out more about those out in our book. Not to mention, producing a professional pattern is expensive not to mention if you have a lot of styles. Shipping fees will be high as well. Save yourself the trouble and just email your garment spec pack out. Also, don’t be one of those people who think that all they need to start a clothing line is find a manufacturer. This could not be further from the truth! Manufacturers, especially the good ones, decide everyday which new line they will work with. They are selective. This means you have to know what you are talking about and present your plan to them among other things. They want to know that they aren’t wasting their time on you. This is just another reason why we emphasis reading the Official Step by Step Guide to Starting A Clothing Line. You want to be truly ready when you start contacting manufacturers and trying to get your clothing samples (prototypes) and production made. Now how do you find clothing manufactures? There are many ways but we have one super easy way – Our Ultimate List of Clothing Manufacturers featuring over 500 clothing factories that can make your line. As we said earlier, our site was started to make things even for new clothing lines by giving you much of what you need to be successful all in one place. We want you to be successful. Your success is our success. It is this belief that has kept us around as we seen many pop up so called experts come and go. Our products are tried and proven. For additional insight on The Fashion Design Process and getting clothing made – check out this article from clothing line expert Michael Harper. Also see How to Start a Clothing Line From Scratch – the full length article. It is possible that you are your greatest obstacle. Do you believe in your dream enough to take a chance? Do you believe in your fashion ideas enough to share them with the world? Are you strong enough to endure and sometimes even overcome rejection? Are you willing to listen to your customers and adjust your designs? Are you willing to dedicate the time to learn the fashion industry? Will you persevere and do whatever it takes to be successful? Unfortunately, these questions have to be answered by you. We can only solve all of the above issues to make it easier for you to follow your dreams. The rest is on you. Don’t be afraid to invest in yourself. Need Advice on Creating Your Own Label or Our Products? What are things holding you back from Starting Your Line? – Go to Our Advice Page.